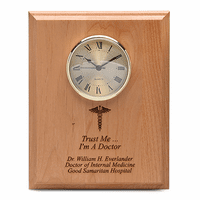 FEATURES/SPECS This desk clock for medical professionals is a unique recognition award for your favorite doctor or nurse. 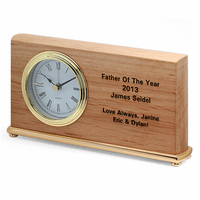 It is made of solid red alder wood, a light tone wood that will blend in beautifully with any desktop decor. 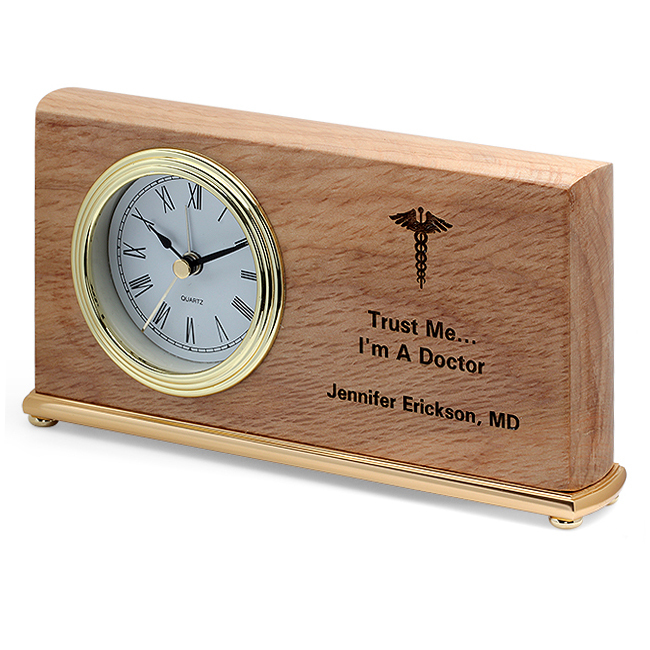 The quartz clock is situated to the left on the face of the clock and it comes with the medical Caduceus emblem to the right. 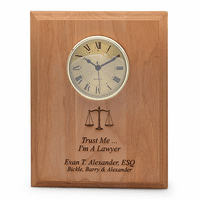 Below the emblem add your own custom inscription free of charge. 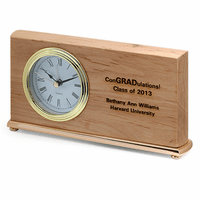 This desktop clock or doctors and nurses is a gift that is sure to be appreciated.